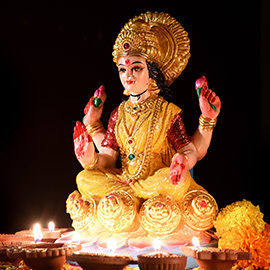 This Interactive Fire Lab will be performed to honor Lakshmi, the Goddess of Wealth, during her Full Moon powertime of creativity, abundance and manifestation of desires. She will be invoked with Shreem Brzee, an ultimate mantra for spiritual and material wealth consciousness. The Moon will be in Purva Phalguni, a star of material prosperity. Purva Phalguni is a star of rest, relaxation and celebration. This is an auspicious time to say sincerely and humbly say “yes” to receiving blessings of spiritual and material good fortune. This is a good day to invite Shreem Brzee to continually resonate in all parts of our being so that we ourselves are broadcasting Shreem Brzee vibrations to others on subtle levels. Today’s Fire Lab is excellent for joining with others in community with the use of Shreem Brzee to improve personal as well as global economics and to offset emerging difficulties in the world that have affected so many people's finances and material assets.